The International Space Station has helping scientists examine all kinds of mysteries since it was launched into orbit in 1998. Having a unique set of environmental factors, it’s the perfect place to study the effects of microgravity on humans, animals and even the objects we use every day. 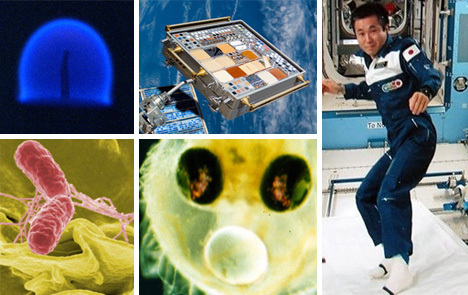 These are five of the most interesting microgravity experiments that have taken place aboard the ISS. If humans are ever going to colonize space, we’ll need to know exactly which materials will perform best in that situation. 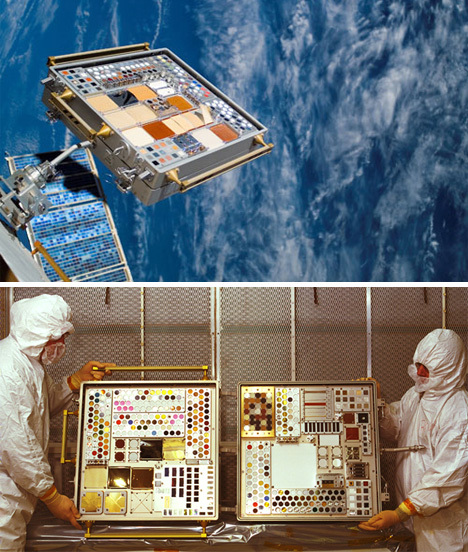 The above case is full of several different types of materials, and it belongs to an experiment called Materials International Space Station Experiment (MISSE). The object is to discover the effects of solar radiation and other space factors on materials from Earth. Garnering public interest may not be a scientifically important mission, but space agencies do want to keep the public informed and interested in their space missions. 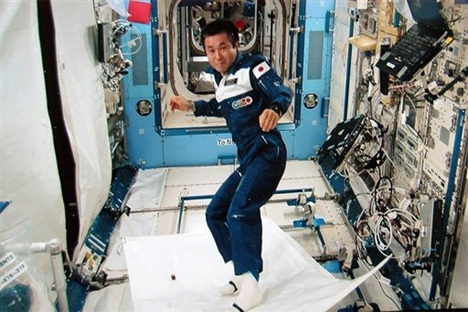 That’s why, in 2009, Japanese astronaut Koichi Wakata boarded the ISS with a list of 16 tasks chosen from nearly 1600 suggestions from the public. He was to fold laundry, apply eyedrops, and even ride a flying carpet – partially in the name of science, but mostly in the name of public relations. A surprising discovery that’s arisen from continued space travel is that it seems to weaken the immune system. Even more surprising, though, is that some microbes actually get more dangerous in space than they are on Earth. 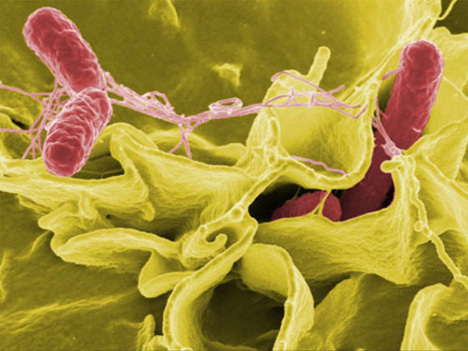 In a 2004 experiment, it was discovered that the bacterium Salmonella typhimurium was three times as likely to kill mice in space than on Earth. This knowledge is being used to isolate the cause of such virulence and increase the effectiveness of vaccines. Even combustion is different in space. 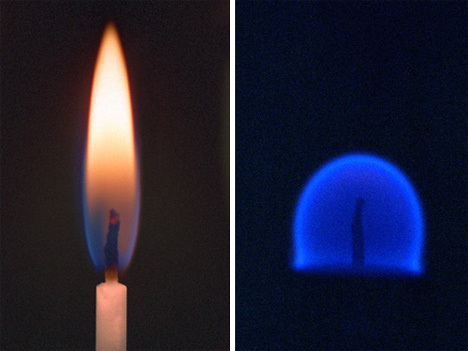 These pictures of a flame on Earth (left) and a flame in space (right) demonstrate the effect that microgravity has on fire. Hot air doesn’t rise in space as it does on Earth, creating a spherical flame. Research on the subject could help fire-suppression technology on future space missions. Butterflies weren’t the only animals to be tested in microgravity. Scientists have long been curious about the effects of microgravity on developing embryos. They wondered whether an embryo that develops in space would be markedly different than its Earth-bound counterparts, and if there would be any noticeable defects. 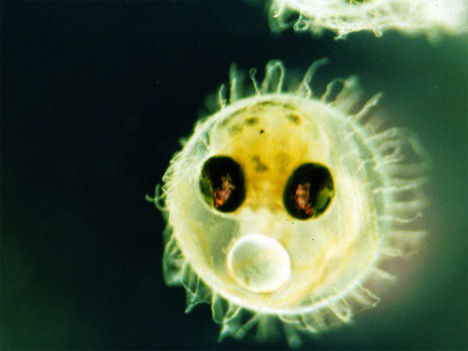 The Japanese Medaka fish (a Medaka embryo is shown above) were among the first animals to be used in such an experiment. They turned out relatively normal, but other animals have been found to have significant physical deformities when they develop without gravity. See more in Space & Time or under Science. January, 2010.